We believe in providing a unique solution for each customer. 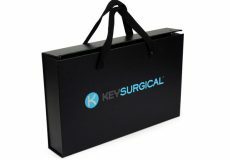 We understand that packaging plays a key role in how consumers view your product, so let us help you convey your brand and message. We have 30 years of experience under our belt when it comes to creative packaging. Choose Sunrise Packaging when you’re looking for custom packaging strategy and execution. This Gate Fold Box was made for our friends Print House. 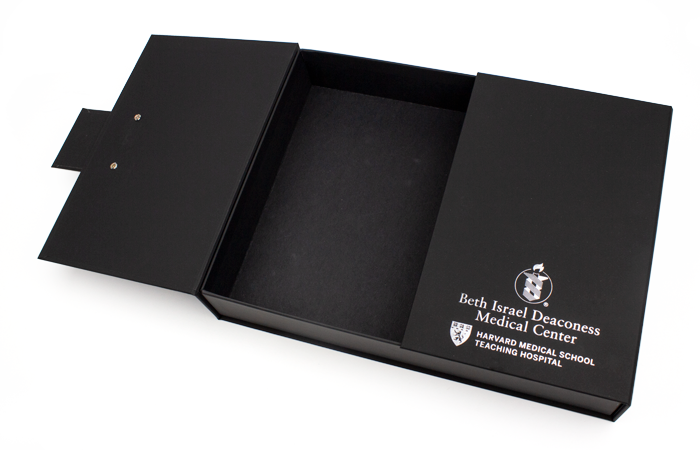 The Harvard Medical School Gate Fold Box was black offset printed and has a soft touch lamination with a silver foil stamp. 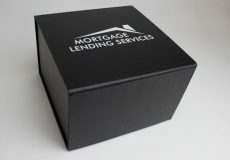 The Gate Fold is one of our high end presentation boxes that we make. These FobPads were created for our friends at Lincoln of Memphis. The FobPad is our newest packaging innovation specifically designed for the automotive market. Like a car, it comes standard (key fob and business card foam) or you can choose a loaded version like this one! The exterior was digitally printed and has a soft touch lamination. The inside contains clear vinyl pockets for business cards and a custom foam pad that holds the spare key fob and a USB drive for all final paperwork. This high-end luxury box was made for our friends at Makewell. 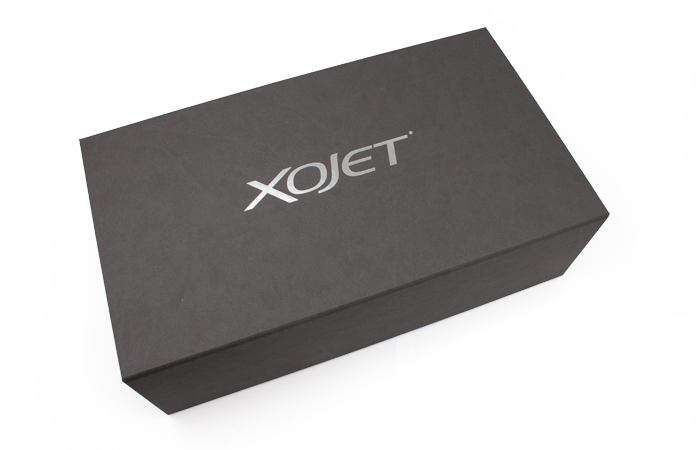 This XOJET box was wrapped with a grey silk touch Nuba paper and has a silver matte foil stamp. The inside contains custom foam that holds a model airplane and a luggage tag. 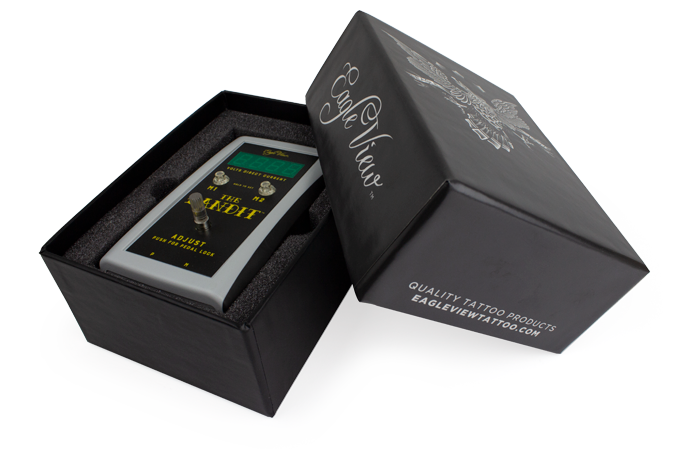 This custom two piece box was made for our friends Eagleview Tattoo Products. 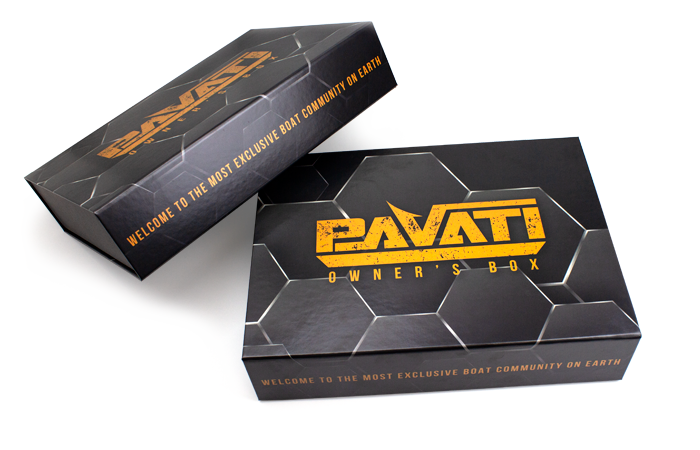 The box was digitally printed and has a matte lamination. 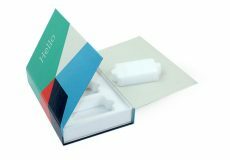 The box has custom foam to hold the product in place. Sunrise produces custom sales kits that sell themselves. 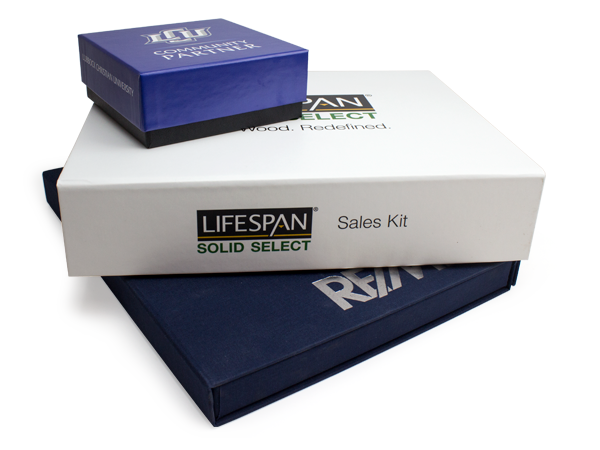 Our mag box packaging offers total personalization for your custom promotional needs. This sales kit was made for Pavati Wake Boats. The box was offset printed and it has a matte lamination.